My 2dr Cherokee Chief has a fair bit of tin worm, what are the go to suppliers for repair sections & panels if any exist? Depends on what specifically you're needing. Some wag repair panels will work for certain areas. If it is rear quarters & flares on a WT used is pretty much you're only good option. I need quite a lot but front fenders (inner and outer) are ok and rear fenders not too bad. Doors and tailgate are ok, it's only the main shell structure that is bad. Roof edges and especially the roof corners are bad. A posts either side of windshield are bad. Door hinge posts are bad. Floor pans (front) are bad. Floor pan at the rear where tailgate bolts on is bad. I'm pretty much looking for anything available. Or some kind soul to offer to cut out parts from a good shell. I'd even consider a complete fairly straight and as rust free as possible bare shell. Send Heavy Metal Thunder a PM...maybe he can help. I'd post in wanted section as well. But if your truck has so much rust... Is it the right vehicle to fix? Last edited by Mikel : 10-12-2018 at 06:01 PM. Tripwire has alot of body parts, too. 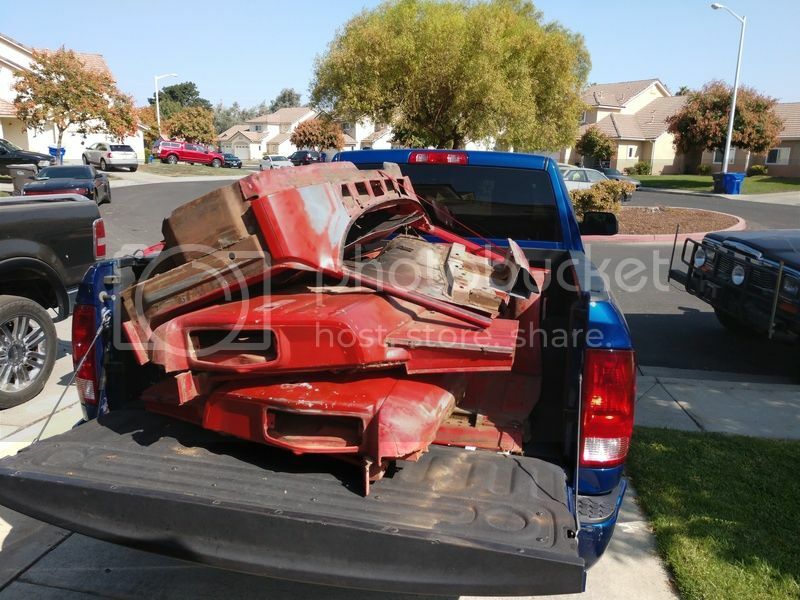 There is a guy down here in Southern California that has a 78 WT shell that is completely rust free other than the rear flares that would sell it pretty cheap but shipping would be pretty expensive to where you are. If you want his phone number, PM me and I'll put you in contact with him. roof/pillars/floor can come from wagoneers as well. your location is the killer, even small items are $$$ to ship. I once sold some parts to someone over there, shipping was way more than the price of the parts. Thanks for the responses so far which I will follow up on. Being in the UK is a challenge but I use a really good shipping agent in Florida, so long as I can get parts to him he consolidates them into one shipment and then once every 6-8 weeks they pack a container and then ship it to the UK. He handles all import paperwork and taxes and even arranges delivery to my door! So the only problem I have is getting the parts to Florida. Ideally a straight and as rust free shell as possible would be ideal but I guess these are hard to find! I'll put something in the wanted section but it looks like a lot of the lower body repair sections are available. If I could find a good roof and pillars that would be a great start. Under normal circumstances, no, but probably only 5 or so RHD versions left in the UK, so it's this one or not at all! A few years ago Zack at ZM Jeeps got his hands on a "new in the crate" 2 door body shell/tub, but don't know if he still has it or not. Think it went bye-bye, but might be worth a PM or email. He is one of the vendors on here. Member: FSJ Prissy Restoration Assoc. Unfortunately I just chopped and scrapped my last parts rig, sorry. 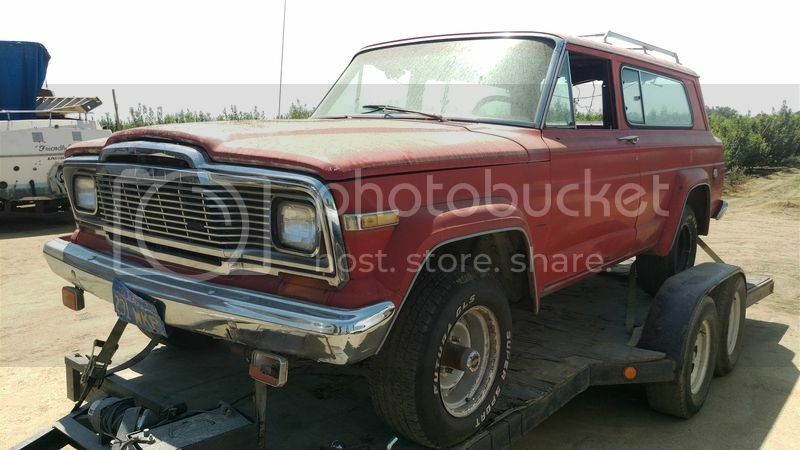 poor cherokee, looked nice e-nuff to restore in photo. Don't know if they're still around but there used to be a web vendor that had some fair to middlin(poor to fair??) quality tin for FSJ's. Just going by rumors on quality so not recommending them but if still around it might be a last resort option? Google Raybucks Auto Body parts. As mentioned previously Zack at Z&M Jeeps may(?) still have some minors bits like rocker panels? "Don't mind me. I'm just here for the alibi"
I thought so, too. It was supposed to be the replacement for my current Cherokee. Unfortunately, it had been wrecked at least once (couldn't tell if all the damage was from one single accident or not) and repaired by Bondo Bill then Chevy swapped by Backyard Bob. Shame as it was mostly rust free. I saved everything that I could, though. Sun- Might also drop Tanker a pm, he has a salvage yard back on the east coast and might be a source for you.